Nestled in a new coffee shop, tucked away down one the quaint streets in Oxford, I have to pinch myself that I am now about to start the 3rd month of marathon training. The last four weeks have definitely been eventful, but also super fun, and I can’t quite believe how fast time is flying. Week 1…A bit of a quiet week, but an exciting one. 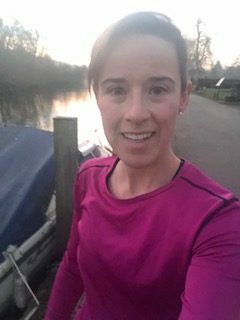 I felt slightly put out this week, with regards to my pace and found myself getting anxious seeing others smash 7.30/8 minute miles, where I wasn’t. I had to pull myself back and give myself a little kick, because actually, pace and being fast isn’t my aim. My aim is to stay strong, injury free, enjoy training and the day of the marathon. 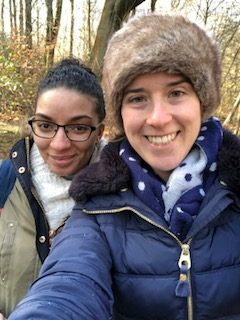 With that said, I had a fun weekend in London planned, catching up with a friend and running the Winter 10k, which you can read about here. Ending the week on a high and positive note, was what I needed! 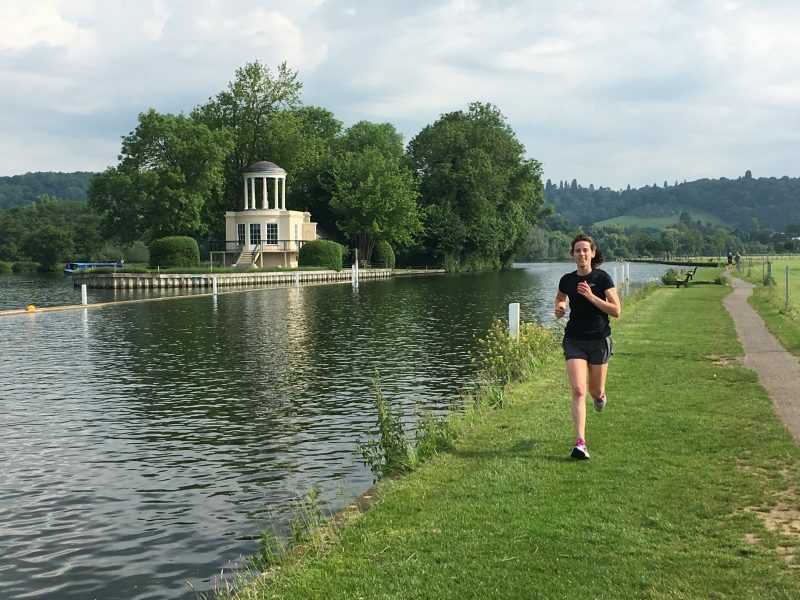 Week 2…Started off on the wrong foot, literally…I stupidly decided to wear a different pair of socks for my long run the week before, and as a result, gave myself extensor tendinitis. Also caused by tying your shoes too tight. I was pissed off and so annoyed with myself because this set me back for the rest of the week. It was painful to walk, keeping me up at night and even bought me to tears. For the rest of the week, I was determined not to let it get me down. I did a lot of resting, icing, ate well and stayed positive. 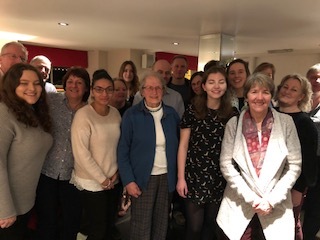 Plus I had my charity curry night to look forward to, which went so well and in total raised £260! By the end of the week, my foot felt a lot better, and I was quite undecided about my long run on Sunday. However, a friend said he’d join me and I’m really glad I did it. The sun was shining, my foot actually felt great, and I really enjoyed just chatting and running. I’d missed it, really missed it, and this was just what I needed! Week 3…This week started off with a rest day and a fresh mindset. I was ready to get back into my weekly runs as well as a much needed break from routine/classes at work. 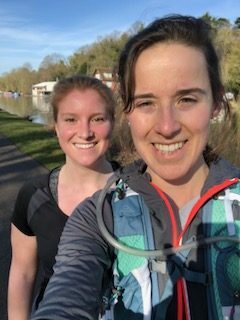 Half term fun included pancake day (yay), spending time with friends, celebrating my parents wedding anniversary, house sitting and enjoying some space and smashing my longest run with my cousin! On Friday, she joined me for the last 5 miles of my longest run to date, 14 miles, and she did amazing! The sun was shining, it was warm and we rewarded ourselves with brunch at my favorite cafe and enjoyed catching up. After a much needed, and enjoyed rest day, the week ended with 5 miles with a friend. They were tough, I won’t lie, but it equally felt good to shake my legs out and I spent the rest of the day on the sofa with Netflix! A great week, feeling great in both body and mind! Week 4…Prioritizing my foot exercises, from the physio, and stretching, was the plan for this week. 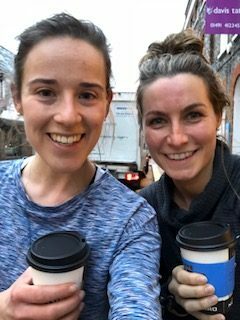 Another strong and comfortable week which included a stomach churning interval run with Charlie, which was a huge eye opener and a realization that I CAN do what I put my mind to. I’ll forever be chasing Charlie, but I am so thankful to her for pushing me on Tuesday morning. Yes it was bloody hard, but also bloody fun! It was SO lovely to see her and catch up a little. This weekend she is in Tokyo running her last marathon of the Abbott World Marathon Majors! She is a true inspiration and I shall be cheering her on, on Sunday! 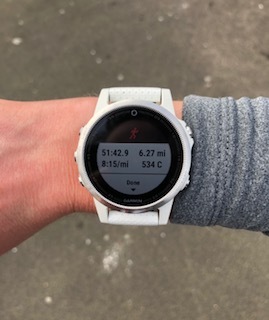 Thursday morning involved 5 speedy tempo miles, in DAYLIGHT! Yay for lighter mornings and no more head torch!! Followed by a glute based pilates class and a strong training session today. Its safe to say my glutes will make sure I know how much they hate me tomorrow, but hey, no pain, no gain! I’m really looking forward to a fun filled weekend at a friends baby shower, running and seeing family. I wanted to say a huge thank you to everyone for wishing me well, good luck and for all your continuous support this everyday/this month. It really does mean the world to me. Before I go, I wanted to give you a little update on my fundraising. I’m extremely proud and excited to say that I’ve exceeded the goal amount for 1st March (£1,200) and have raised a total of £1,370! Seriously guys, I can’t thank you all enough for your donations and support. Keep an eye out on my instagram and facebook for two more fun events coming up soon! I hope you have all had a great week and enjoy what looks like, is going to be a very sunny weekend! Next Post Fundraising Target Reached! !